Accreditation is a way of assessing the technical competence of laboratories to perform specific types of testing and calibration. Please browse the extensive list of accreditations held by our partner laboratories below. DNA Testing Laboratory Accreditation is a way of assessing the technical competence of laboratories to perform specific types of testing and calibration. To maintain their accreditation, laboratories are inspected at regular intervals to ensure they are compliant with requirements and that standards are being maintained. This independent verification of a laboratory’s competence acts as reassurance to potential clients that the services provided by the laboratory are accurate and reliable. AffinityDNA is an industry-leading DNA Testing company with more than 10 years’ experience and established partnerships with some of the most highly accredited laboratories in the world. We provide the most accurate and reliable test results available and monitor our partner laboratories constantly to ensure your complete peace of mind. Please browse the extensive list of accreditations held by our partner laboratories below. Copies of DNA Testing Laboratory Accreditation certificates are available on request, please contact us. The Ministry of Justice work to protect the public and reduce re-offending, and to provide a more effective, transparent and responsive criminal justice system for victims and the public. Our partner DNA testing laboratory is a body that has been accredited by the Ministry of Justice as a body that may carry out parentage tests directed by the civil courts in England and Wales under section 20 of the Family Law Reform Act 1969. ISO/IEC 17025:2005 is the most important international standard for testing and calibration laboratories worldwide and demonstrates that they are technically competent and able to produce accurate test data. Our partner DNA laboratories have been assessed by the ANSI-ASQ National Accreditation Board (ANAB) and the American Association for Laboratory Accreditation (A2LA) and meet the requirements of international standard ISO/IEC 17025:2005. Both ANAB and A2LA are full members of the International Laboratory Accreditation Cooperation (ILAC), please see below for more information. The American Association of Blood Banks (AABB) is an international standards organisation based in the United States and with members in 80 countries. The AABB develops standards for voluntary compliance for several disciplines including Standards for Relationship Testing Laboratories (formerly Standards for Parentage Testing Laboratories). 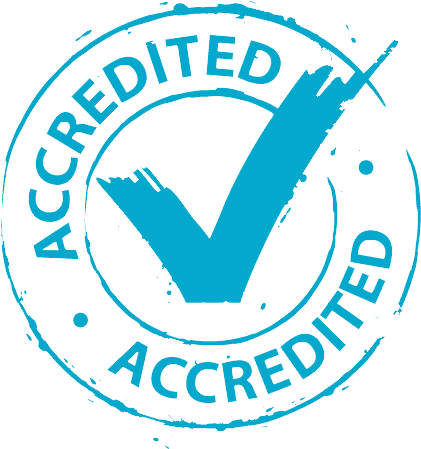 Our partner laboratories are accredited by the AABB. The American Society of Crime Laboratory Directors/Laboratory Accreditation Board (ASCLD/LAB) specialise in the accreditation of public and private crime laboratories. Our partner forensic services laboratory holds the ASCLD/LAB-International Certificate of Accreditation for DNA-Nuclear and Body Fluid Identification testing. The Centers for Medicare & Medicaid Services (CMS) regulates all laboratory testing (except research) performed on humans in the U.S. through the Clinical Laboratory Improvement Amendments (CLIA). The objective of the CLIA program is to ensure quality laboratory testing. Our partner DNA testing laboratory holds a CMS CLIA Certificate of Accreditation. The College of American Pathologists’ (CAP) partners with laboratory professionals and pathologists to achieve the highest standard of laboratory quality, deliver accurate results for better patient outcomes, ensure confidence of patient diagnosis and manage and reduce the risk of inaccurate and unreliable test results. Our partner DNA laboratories are members of CAP. The ILAC Mutual Recognition Arrangement (ILAC MRA) provides significant technical underpinning to the calibration, testing, medical testing and inspection results of the accredited conformity assessment bodies and in turn delivers confidence in the acceptance of results. In addition, the ILAC MRA enhances the acceptance of products across national borders. The accreditation bodies that are signatories to the ILAC MRA have been peer evaluated in accordance with the requirements of ISO/IEC 17011 to demonstrate their competence. Click here to view the list of ILAC MRA signatories, a current list of all accreditation bodies that are signatories to the ILAC MRA. The ILAC MRA signatories agree to accept the results of each other’s accredited conformity assessment bodies under the ILAC MRA. Hence, the results from the conformity assessment bodies accredited by the ILAC MRA signatories are able to be recognised internationally. NATA‘s role is to serve the national and public interest by ensuring that member facilities comply with relevant international and Australian standards and so are competent to provide consistently reliable testing, calibration, measurement and inspection data to government, industry and the wider community. Our partner DNA testing laboratory is accredited by NATA. New York State Department of Health (NYSDOH) certification permits laboratories to perform DNA tests on cases originating from New York. The New York State Department of Health rigorously inspects the entire testing service, including processes performed outside the lab such as chain of custody and patient referrals. Our partner laboratory holds a NYSDOH Clinical Laboratory Permit. Please contact us for more information if you require a test for participants living in New York. The Standards Council of Canada (SCC) is Canada’s national accreditation body. SCC accreditation is recognized internationally and allows customers to be confident in these certified products, services and systems not only in Canada but throughout the world. Our partner DNA testing laboratory holds a SCC Certificate of Accreditation. We take DNA Testing Laboratory Accreditation very seriously and cannot stress how important it is that you only choose an accredited laboratory to perform your DNA test. Should you have any questions at all about the DNA Testing Laboratory Accreditation held by our partner laboratories, please do not hesitate to contact one of our customer service advisors who will be happy to assist you.